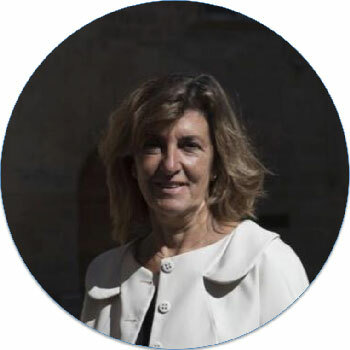 Pilar García Ceballos-Zúñiga is an experienced executive with a long history working in multinational environments, focusing on technological innovation and the effectiveness of organizations. She possesses recognized qualities such as innovative, team-building, and business-maker, allowing her to successfully lead optimization initiatives and disruptive projects in large complex and global organizations. He has been a leader in the IBM Corporation for more than 25 years, 12 of which have high level responsibilities in Europe and Worldwide, with Executive Vice president IBM Global Digital Services, Cloud and Security, being his last executive responsibility. In this mission he was responsible for a business of more than 3.000 million dollars worldwide. General Manager of Insa in Spain (currently ViewNext) and GM of Softinsa in Portugal,for 5 years, a services company with more than 3000 professionals, specialists in application development and infrastructure services where she has led the creation of “nearshore” centers with national and international coverage for clients. Has been a member of the steering committee of IBM Spain and Portugal, the executive committee of IBM Southwest Europe, the steering committee and board of Insa and leader in IBM Global Committees of management and transformation in strategic, commercial areas and internal process optimization. Bachelor’s Degree in Law from the University, CEU San Pablo de Madrid, with an MBA from the Open University, UK. He is also currently the President of the Board of Trustees of the Caja de Extremadura Banking Foundation, Liberbank, And Indepedent Non Executive Director in Amadeus IT Group since Decembre,2017. Frequent participation in conferences in business schools, forums, universities and associations in topics related to technological strategy,digitaltransforamtion, leadership, management and development of new talent, etc. Leader of the professional development of women within IBM Spain for more than 7 years.